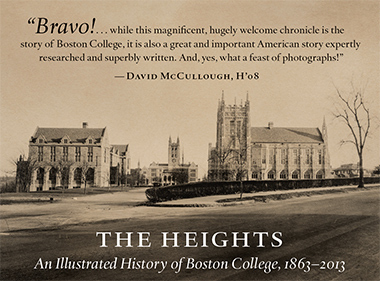 Boston College Magazine » Spring 2012 » C21 Notes » What right? Few could have predicted that one of the more ignitable political questions in 2012 would be whether religious freedom is under siege in America. But that debate has lately been fiercely engaged by U.S. Catholic bishops in response to the contraceptives provision enacted as part of the 2010 federal health care reform law and to a ruling issued by the Obama administration this past January. The ruling, which has been modified with respect to certain procedural details, includes employees of Catholic universities, hospitals, and social service organizations in a general mandate for contraception insurance coverage. (Catholic parishes, whose small staffs are almost always Catholic, are exempt.) Artificial contraception has long been forbidden by Church teaching, a position reaffirmed in 1968 by Pope Paul VI. “Is Religious Liberty Under Threat in America?” was the question in the spotlight at an April 18 forum, sponsored by Boston College’s Church in the 21st Century Center, which attracted a near-capacity crowd to Robsham Theater on a Wednesday night. The event was cosponsored by the Law School and the School of Theology and Ministry. John L. Allen Jr., senior correspondent for the National Catholic Reporter, served as the forum’s moderator. He restated the question at the beginning of the two-hour exchange, borrowing a phrase used by the presumptive Republican nominee, Mitt Romney: Is there a “war on religion” in America? On stage to respond were three panelists—M. Cathleen Kaveny of Notre Dame Law School, Rev. J. Bryan Hehir of Harvard’s Kennedy School of Government and the Archdiocese of Boston, and Boston College Law School dean Vincent D. Rougeau. By way of background, Allen quoted a statement issued six days earlier by the U.S. Catholic bishops, titled “Our First, Most Cherished Liberty,” which warned of unprecedented threats to religious freedom in this country. The bishops called on Catholics to emulate the “great martyrs” who fought religious persecution, the prime example of which, in the 12-page exhortation, was the Obama administration’s controversial decision to include the health care plans of religiously affiliated institutions in its mandate on contraceptive coverage. Allen also quoted Cardinal Francis George of Chicago as bracingly predicting: “I will die in bed, my successor will die in prison, and his successor will die a martyr in the public square.” The words drew a collective gasp from the audience. Then Allen asked the panelists to comment on the issues in the “standoff” between the U.S. bishops and the Obama administration. With this question, lines of divergence, not nearly as predictable as in the national public debate, began to show. Hehir, who serves as secretary for health care and social services in the Boston Archdiocese while teaching religion and public policy at Harvard, answered first. Decades ago he became known nationally as the chief architect of the U.S. bishops’ 1983 pastoral letter, The Challenge of Peace: God’s Promise and Our Response, which called for a halt in the development of nuclear weapons and led Republican critics to dub the bishops “the Democratic Party at prayer.” More recently, Hehir supported the Obama administration’s health care overhaul, unlike the bishops, whose politics have veered right in the intervening years. But Hehir leaned closer to the hierarchy on the basic question taken up at the forum. The priest said the contraceptive mandate represents a “serious incursion into the life of religious institutions,” posing “a threat” to them as they carry out their indispensable role in delivering social services in this country while trying to stay true to their doctrines. Kaveny replied to Hehir, at first with a slightly audible groan. “There’s so much more to it,” she submitted. Pointing out that contraception is for most people a settled moral issue, Kaveny said, “What I would like us to be able to talk about is the conflict between two sets of rights,” between a religious institution’s right to distance itself from what it sees as an immoral practice and the right of individuals to adequate health care that includes contraception coverage. Rougeau said, in turn, that it is “not alarmist” to speak of a threat to religious freedom posed by the contraceptive requirement. He noted that Catholic social agencies such as hospitals have contributed much to the nation’s well-being. “Now, we’ve put those organizations in a very awkward position,” he said, referring to the January ruling. This dilemma has come about, Rougeau said, in part because of the way health care is financed in this country, normally through private insurers rather than directly by the government as part of a so-called single-payer health care system. (That is the system in Canada and many European countries, where Catholic institutions do not have to worry about covering any healthcare, including contraceptives.) Rougeau, who came to Boston College from Notre Dame Law School in July 2011 and whose research has focused on the relationship between civil law and Catholic social teaching, suggested that Church institutions would not be in this predicament if health care were treated as a human right that doesn’t depend entirely on someone’s employer.